We are thrilled to announce that for the 13th consecutive year, Community Financial Credit Union has been selected as one of “Metro Detroit’s 101 Best and Brightest Companies To Work For™!” This award recognizes companies for their excellence in human resources and practices which create exceptional work environments. This recognition is awarded based on questionnaires completed by the employees of each nominated company. Companies give insight into their workplace environment by providing details on things like: work place communication, work-life balance, employee education, diversity, employee recognition, and retention. Employees then fill out an extensive survey, and winners are selected based on independent research on key measures in those various categories. “Community Financial is a wonderful place to work,” said Natalie McLaughlin, Community Relations Manager. 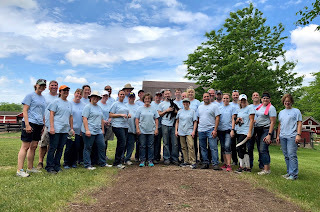 At Community Financial we recognize our employees as our greatest assets, and we are proud that they have chosen us once again as the “Best and Brightest.” To view current career opportunities please visit cfcu.org/career. Apple Pay, Samsung Pay, and other mobile wallets are revolutionizing the checkout experience by blending two developments in payment infrastructure to save you time: near-field communication (NFC) and token encryption. Approximately one-third of all payment terminals nationwide have been updated to accept Apple Pay. It works on phones equipped with the necessary NFC equipment. If you have an iPhone as recent as an iPhone 6 or newer, you can use the pre-installed Passport app. There are simple, on-screen instructions for adding a debit or credit card. Did you know you can set up your Community Financial debit and credit cards in your phone’s digital wallet? Visit cfcu.org/digitalwallet or Watch our “How To” Video to learn more! 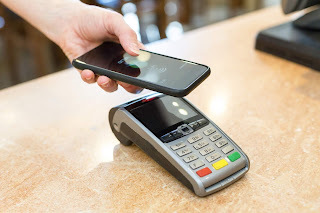 Mobile wallets transfer money from customer to vendor via tokenization – the use of a non-secure piece of data to stand in place of a secure one. When you make a payment with one of these services, the app creates a token – a random series of numbers – corresponding to your account, along with a one-time security key. It transmits that data to the payment terminal, which sends that token to the “token vault,” a secure database linking these tokens to actual accounts. If the security key is correct, the token vault transmits a charge directly to the linked cards and returns a verification of funds to the payment terminal. Since the token vault is hosted at the payment processor, the point-of-sale terminal never sees your card information. That’s fewer points of vulnerability for your data. This also means that Apple and Samsung have no idea what purchases you’re making. For fans of internet privacy, this is heartening news. There are other layers of security involved in these services, too. To use Apple Pay, you’ll need to use TouchID, FaceID or input your PIN. For Samsung Pay, you’ll have to authenticate your fingerprint, input a PIN, or confirm an iris scan. Whether you’re an Apple fan or an Android supporter, mobile wallets are an efficient, secure way to pay. Download the app, link your Community Financial MasterCard, and start leaving your wallet at home! Learn more at cfcu.org/digitalwallet. Your Turn: Have you tried using a digital wallet instead of a regular credit card? Tell us your thoughts in the comments below. 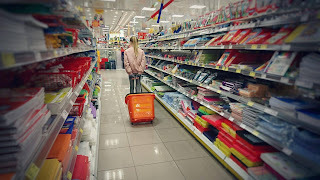 To take full advantage of sales and clearance events throughout the summer, plan on making 5 shopping trips this season so you can get the best prices when they are offered. Destroy Personal Documents at Community Financial’s Shred Day! Your valuable personal information is often buried throughout your paperwork and mail, leaving you and your finances vulnerable. One search through your mailbox or trash could garner enough evidence for a thief to take control of your identity — and your finances. Thieves can use credit cards, financial statements, or utility bills to obtain and exploit your personal information. That’s why it’s important to take actions to prevent theft of this kind from happening in the first place. Your first line of defense is to destroy documents containing your personal information before anyone can access it. Private documents and credit/debit cards, which contain sensitive information, should be destroyed as soon as you no longer need them. If you are looking for a way to securely shred and destroy your old documents, bring them to our Shred Day events this September! 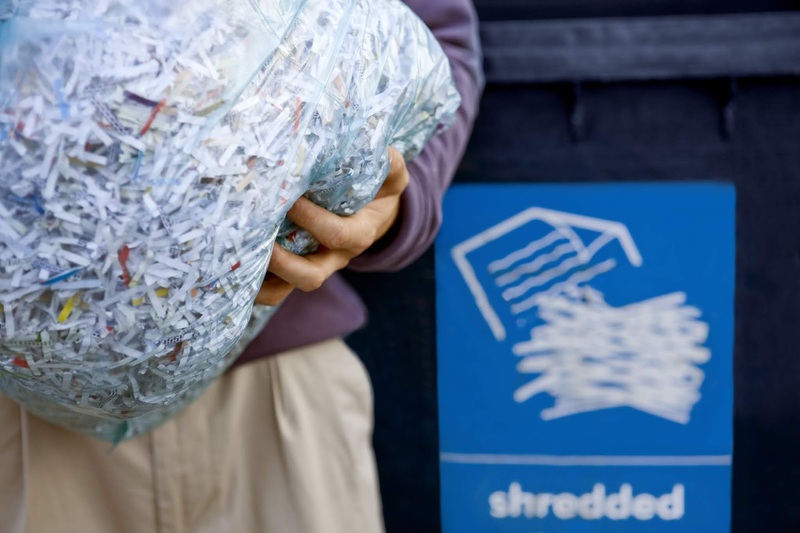 Shredding is an excellent way to destroy your documents to ensure the safety of your sensitive information and finances. As a general rule, it’s better to have as few physical documents on file as possible. Switching to online banking and opting-out of paper statements can also help keep your financial information more secure. Thanks to the internet, scammers and telemarketers can find almost anyone’s phone numbers. Robocallers also buy numbers from companies or websites that require visitors to submit basic information that includes phone numbers. Other times, robocallers simply dial thousands of numbers at random. Spoofing. 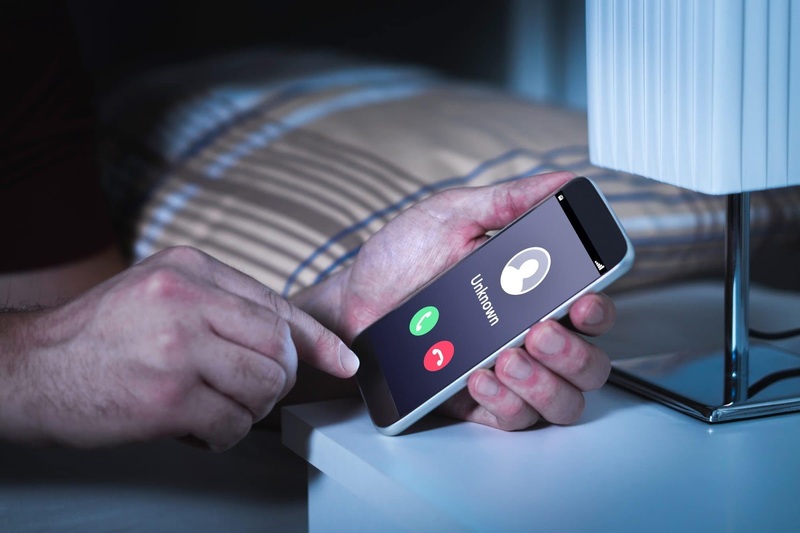 Using software, the robocaller tweaks the way their number shows up on caller ID. They can make it look like the IRS is on the phone, your electric service company is calling, or like a representative from Apple is trying to reach you. Don’t answer calls from unfamiliar numbers – If you don’t recognize the number on your caller ID, let it go to voicemail. Ignore all calls from recognized companies you have no reason to believe are calling you as well. Block unwanted numbers – If there’s a specific number that calls you persistently, use your phone to block it from reaching you again. Check with your phone service provider about possible technologies you can download to block anonymous calls or those from specific area codes. Consider downloading a robocall-blocking app, such as Nomorobo, RoboKiller, Hiya or TrueCaller for a stronger defense against unwanted calls. Require caller input – Consider setting up a call-blocking technology, such as the Sentry Active Call Blocker, to greet callers with a message requiring them to enter a number before the call can proceed. That’s something robots can’t yet do. Don’t share your number – Never share your phone number with a company unless you absolutely must. Sign up for the Do Not Call Registry – Visit donotcall.gov to add your number to the list of registered callers who don’t want to be bothered by telemarketers. File a complaint – If you’ve signed up for the Do Not Call Registry and, after a month, are still receiving robocalls from certain companies, file a complaint at ftc.gov. Take action against robocalls today and reclaim your peace!